Hi everyone! It is currently so sunny with blue skies, I’m loving it! Today I’m sharing my thoughts on a few products that I received from a new skincare line called The Inkey List! 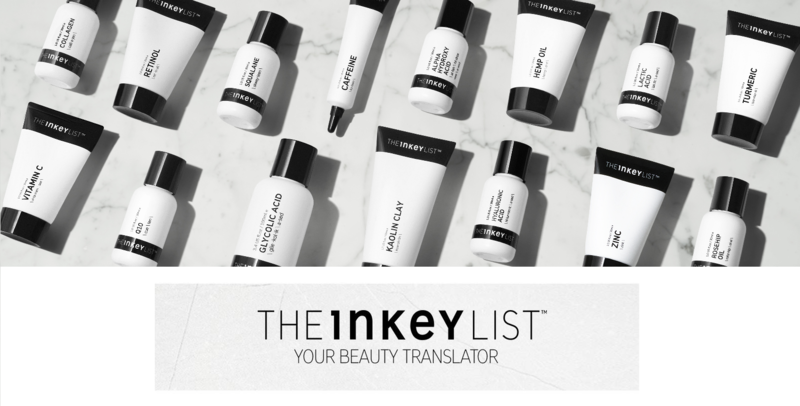 The Inkey List is a new brand originating from the UK and it received an overwhelming response! 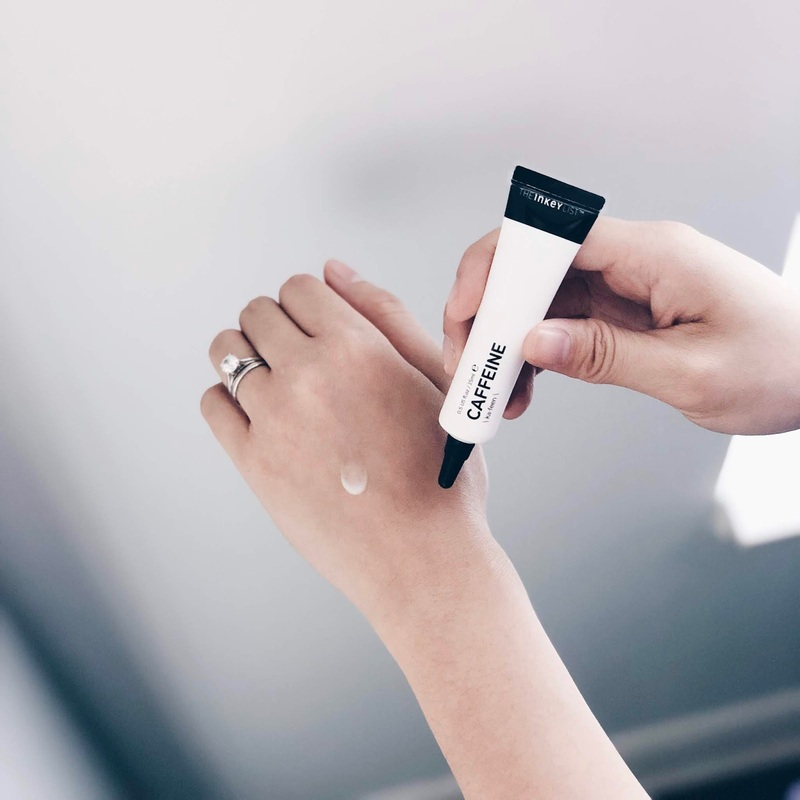 Launched and available now in Canada, the brand is built on the idea that skincare should be accessible in the most simplest form. The name for each product is very straightforward and there’s no complicated science behind the products. Each of them target specific skincare needs. Using only high quality ingredients, the Inkey List eliminates inflated price points and fluffy packaging so that you won’t find any of the products over the price of $15! That’s phenomenal especially when there are so many other skincare products out there that have the same function but is significantly more expensive. Another amazing feature that I appreciate is the information on the package. The box itself defines the ingredient and informs you of its main function. It tell you everything you need to know about it! There's no need to do extra research. The branding is also so simple and modern, and I have to say it does draw my attention to it. My main skincare needs are hydration, minimizing dark undereyes, and evening skin tone. Based on that, the products that I'm inclined to try are the Hyaluronic Acid serum, Caffeine eye serum, and the Lactic Acid serum. I only used it a few times so far and it has made a noticeable difference in the brightness of my skin. I do get a tingly sensation while using it but it's not irritable. One thing that I don't like about this product though is how easy it pills on my skin (from the silicone that's incoporated in the serum). I would apply it all over my skin but if I rub too much, it balls up and sticks to my fingers. When I mix it in with my other serum (currently the Tarte Mermaid Skin Hyaluronic H2O Serum) and apply it together, there's a lot less pilling. For me to start using a different moisturizer aside from my current one, I REALLY need to like it. It's one of the products in my skincare regime that I don't change often. Unfortunately the Tumeric moisturizer was not a game changer for me. It does the job well as a moisturizer, but I'm personally not too fond of the tumeric smell. If you like the scent of tumeric and would like a good moisturizer at a great price, then this is worth trying! Of the three products I got the privilege to try, my favourite would be the Caffeine eye cream. I haven't noticed significant changes but my undereyes are less puffy, staying moisturized, and not as dark as before. No eye cream can completely rid the colour from my undereyes but this one is working. It has a light, gel-like consistency which I prefer. I will definitely be repurchasing this since it is the most cost-friendly eye cream compared to the others I like. You can purchase The Inkey List at Shoppers Drug Mart in select stores and online! Which ones are you most interested to try? *Products were sent as PR samples for editorial consideration. All thoughts and opinions are my own and genuine.